« Episode 14: Interview with Travis Fowler! For the third foray into the world of yesteryear’s video games, I am taking a look back at what I consider to be the pinnacle of real-time strategy gaming: Command & Conquer: Red Alert. I would like to briefly preface this article by posing, and (hopefully) answering the question, what defines a retro game? Each retro game that I have reviewed thus far has been from the 1990s, and I know that in the minds of some gamers, a game isn’t actually “retro” unless it was from the ’70s or the ’80s. I’ve heard others insist that only old arcade games are actually retro, and still others think that text-based adventures are the true definition of retro gaming. The simplest definition of the word retro is from its Latin origin, meaning “backward, or behind,” and in a modern context, it denotes anything “of or designating the style of an earlier time.” Based on that, my personal definition of what makes a game “retro” is simply being a product from one human generation, or approximately 18 years (the arbitrary age at which a person is declared an adult) ago. Red Alert has been out for nearly that long, so I say that it qualifies. With that out of the way, let the geek-out commence! Command & Conquer: Red Alert, released in late 1996 by Westwood Studios, is technically a prequel to the original Command & Conquer game (which is known to the fans and was acknowledged by Westwood as Tiberian Dawn) from 1995, and depicts an alternate, what-if version of World War II. Albert Einstein inadvertently created this alternate reality by using a time machine called the Chronosphere, to kill Adolf Hitler before he and the Nazi party rose to power in Germany. In the power vacuum, with no Third Reich to stop him, Josef Stalin began a virtually unchecked expansion of his Soviet empire into Europe and Asia, dreaming of unifying the entire Eurasian continent under one banner. In trying to prevent the horrors of World War II from ever happening, Einstein ended up creating an even bigger problem. In this altered history, the free nations of the world (collectively referred to as the Allies) fight for the freedom of Europe against the seemingly unstoppable Soviet war machine. Red Alert combines the gritty feel and setting of a World War II movie, with some of the cheesy, yet fun, over-the-top stylization and wacky technology from Tiberian Dawn. The story is told almost entirely through use of FMV (Full-Motion Video) cutscenes, for which this franchise is quite famous, and each cutscene both briefs the player on the mission to come, and advances the overall plot. What is particularly refreshing about the classic Command & Conquer games in general, is that there is more than one campaign and more than one story to follow. 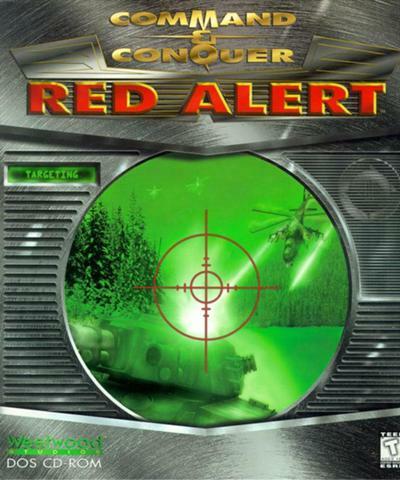 Red Alert came with two discs, one for the Allied campaign, and the other for the Soviets, which effectively doubled the game’s replay value, and also allowed for two players to use each disc on separate computers for multiplayer. The back cover even suggested lending the second disc to a friend! You’d be hard pressed to find that level of generosity from a gaming publisher in today’s gaming world, one which is ruled by CD Keys, online verification, profile registration, and more DRM than you can shake a stick at. 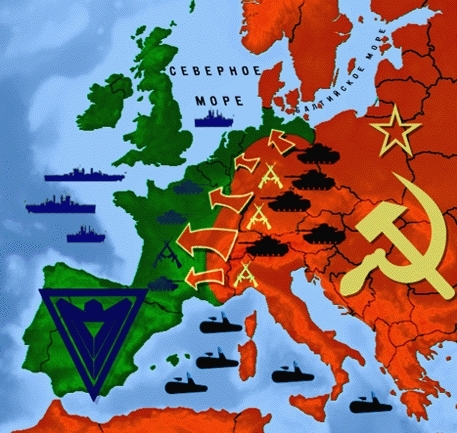 Unlike Tiberian Dawn, where both campaigns and endings could be considered canon, the two Red Alert campaigns cannot both happen, and only the Allied story is considered canon (at least as far as Red Alert 2 is concerned). However, both tales are fun, enthralling, very tongue-in-cheek, and not afraid to have a little fun with history and some of the wild, experimental technology that is rumored to have existed in the 20th Century. As examples, the Soviet Tesla Coil is likely a play on Nikola Tesla’s supposed “Death Ray” weapon, and the Allied Chronosphere and Gap Generators are based off of the Philadelphia Experiment. As a tie in with Tiberian Dawn, Kane also makes an appearance, which sets up several key elements of the original game, and helps explain how that world is so divergent from ours. Red Alert’s story, atmosphere, and setting are absolutely superb, and set the standard for real-time strategy, and subsequent Command & Conquer games to follow. The true bread and butter of any RTS game, how it handles in live gameplay will make it or break it. Red Alert is fast, fluid, easy to learn, but with many nuances and layered complexity for experts to master. Like GDI and Nod before them (or after them, technically), the Allies and Soviets are not evenly matched in all areas of combat. The Allied ground vehicles are weaker than their Soviet counterparts, but are faster and cheaper to build. The Allies have virtually no air force, and their base defenses are not nearly as devastating as those of the Soviets, but they have a far superior navy, and have more crafty and sneaky units and powers to use for turning the tables on their enemy. Though both factions are easy enough to use for one of the tried and true strategies, tank rushing, they still have enough significant differences to cater to many different playstyles and strategies. 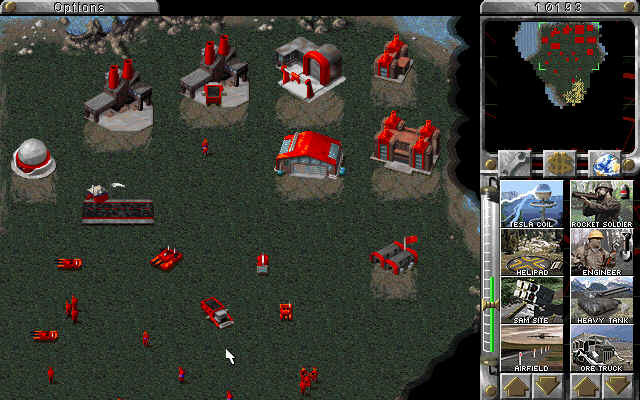 It is my opinion, that Red Alert is the apex of RTS gameplay. It is more nuanced and refined than Tiberian Dawn, but is not so overloaded with options, commands, and base-building requirements as to be unwieldy. In contrast, the next game, Tiberian Sun, is a much slower, more deliberately paced title, which does suit my personal playing style more, but isn’t for everybody. While Tiberian Sun is my personal favorite C&C game, being my favorite doesn’t automatically make it better. I concede that overall, Red Alert has a much broader appeal without being dumbed down, and is really the standard to beat as far as balancing game speed, difficulty, fun factor, and ease of use in a real-time strategy game. Graphics are a difficult thing to judge in older games, because they are the one aspect that tends to age the most quickly, and the most poorly. So in order to accurately judge them, you have to take into account how good they were for their time, and relative to other peer games. Red Alert’s graphics are just right for what they need to accomplish. All of the buildings and units are visually distinctive, the environments are well rendered (particularly the tundra levels), and the combat effects are well executed (especially the awesome attack of the Tesla Coil). However, all of that said, nothing about this game, visually, goes above and beyond what you might have expected from a game in 1996, especially with the leaps and bounds that were starting to be made with 3D rendering. Remember, this is when games like Final Fantasy VII, Tomb Raider, and Crash Bandicoot were starting to come out. Like the graphics, there isn’t a lot that I feel a need to remark on with regards to Red Alert’s sound effects. The voiceovers are definitely classic, while the other sound effects suit the game perfectly, and are never really grating or annoying (well, except maybe the Technician’s crappy pistol). Of course, they aren’t exactly mind-blowing either. On the other hand, the soundtrack is absolutely legendary. Frank Klepacki reprised his role of composer from Tiberian Dawn, and he created a score for Red Alert that is heavy on atmosphere and mood. It is a little slower paced than the previous game’s soundtrack, but I find that it suits the older time period better. 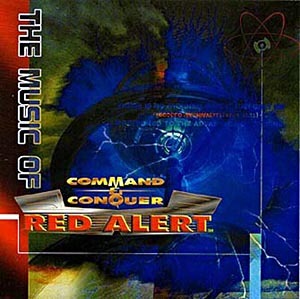 And of course, the main theme of Red Alert, “Hell March,” is one of the greatest video game tracks of all time, and is so iconic, and so ingrained with the Red Alert universe, that it has appeared in each sequel, amped up and remixed to be even more epic. Why don’t you give it a listen and hear for yourself how awesome it is? 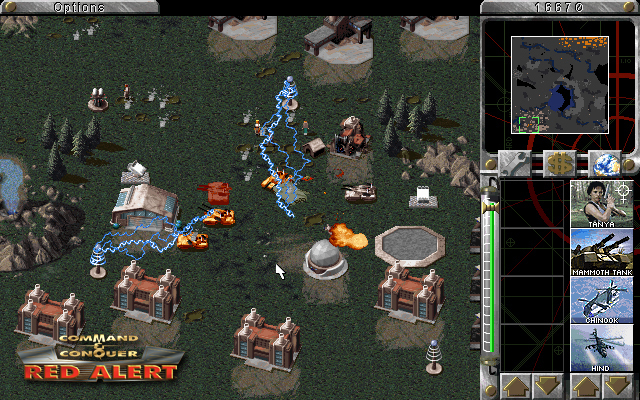 Red Alert was among the first RTS games to offer a robust multiplayer experience, and it is arguably the best of its era. With a much better implementation than Tiberian Dawn, and an awesome Skirmish mode to practice in, multiplayer in Red Alert is fast, frantic, explosive, and always a blast. More than that, it is extremely well balanced, and getting defeated comes down more to player skill than some unfair unit or power which can’t be stopped. While the old Westwood Studios servers are more than long gone (along with the studio itself, tragically), you can still play a good game of Red Alert online through cncnet.org, and of course, through the tried and true LAN party! 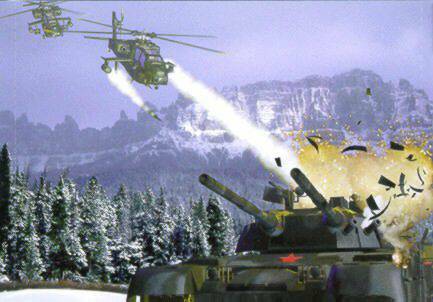 Command & Conquer: Red Alert has truly stood the test of time, and remains one of the greatest RTS games ever made. The original PC version, especially with expansions, is nearly flawless, and is an absolute classic. Even ported versions of the game that made it to, among other systems, the original PlayStation, were still fantastic even though they ran more poorly. In fact the PSX version of Red Alert in particular handled extremely well with a controller, and it is a wonder to me why future console RTS games did not re-visit that particular control scheme. 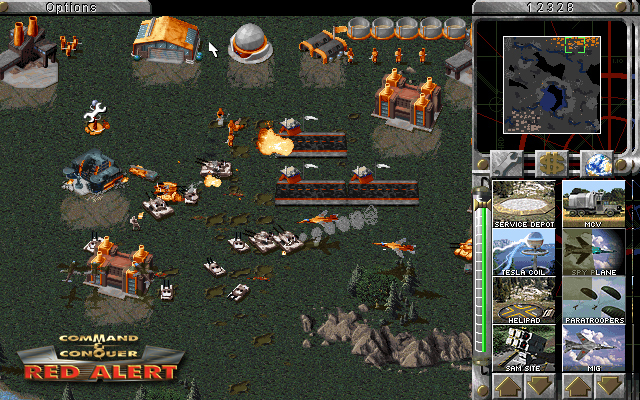 As of 2008, Red Alert is available as Freeware from Electronic Arts, and it is also featured on a variety of Command & Conquer compilation packs. Any fans of strategy games have no good reason to not check this game out! Make it so! Disclaimer: Command & Conquer and all related trademarks and properties are copyrights of Electronic Arts. All images were obtained from http://www.cnc.wikia.com and from http://www.google.com public image searches. Images are for entertainment and informational purposes only, and I claim no ownership of them. I cannot go back and play RA1, the foot soldiers are mere pixels. RA2 has aged better. Graphically speaking, RA2 has aged better for sure… but I have a special place in my heart for those little pixel soldiers that go squish and leave behind a blood puddle when tanks roll over them.